Kimber, was our assessment that joined the Large Dog Program earlier this morning... She's a three year old, forty five pound German Shorthaired Pointer! 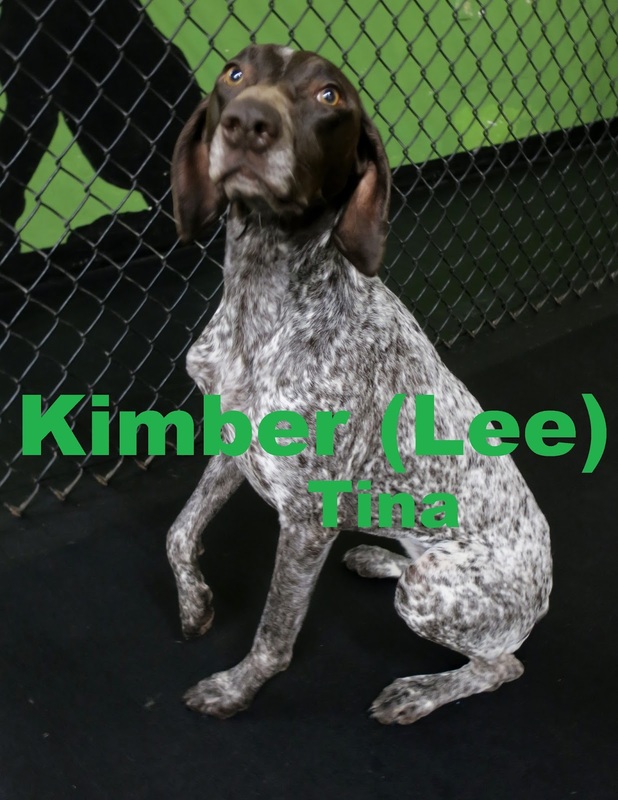 Kimber enjoyed sniffing around her new play area, and mingling with the other dogs; she even made a buddy! Her new friend is actually the same breed as her- Mr. Max is his name, and he has been attending here since 2015! Look at them checking each other out!